I will follow America, since they say that I am an American boy. OK, granted, I will admit that I am a fascist. I will categorize you already as a terrorist. It’s not clear who he means by “you” in that last sentence, perhaps the journalist to whom he was speaking. Note that he says he’s following the lead of America. 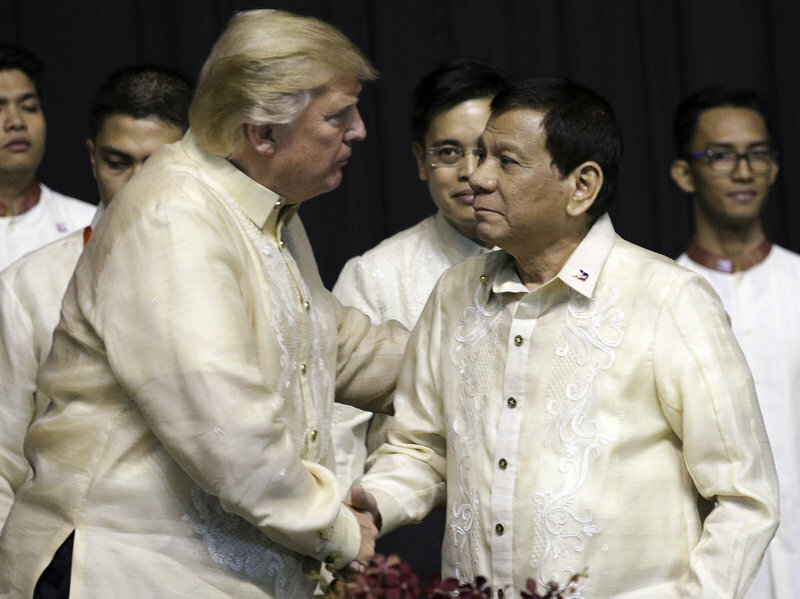 Duterte enjoys a warm relationship with Donald Trump, who the aforementioned bleeding heart liberals have also characterized as a fascist, and if you doubted those liberals were correct before, perhaps you should reconsider. If you, or one of your parents or grandparents, was among those who fought in World War II to defeat fascism, would you please speak up in the comments, and describe your feelings as you read that the Republican Party is on the opposite side today?